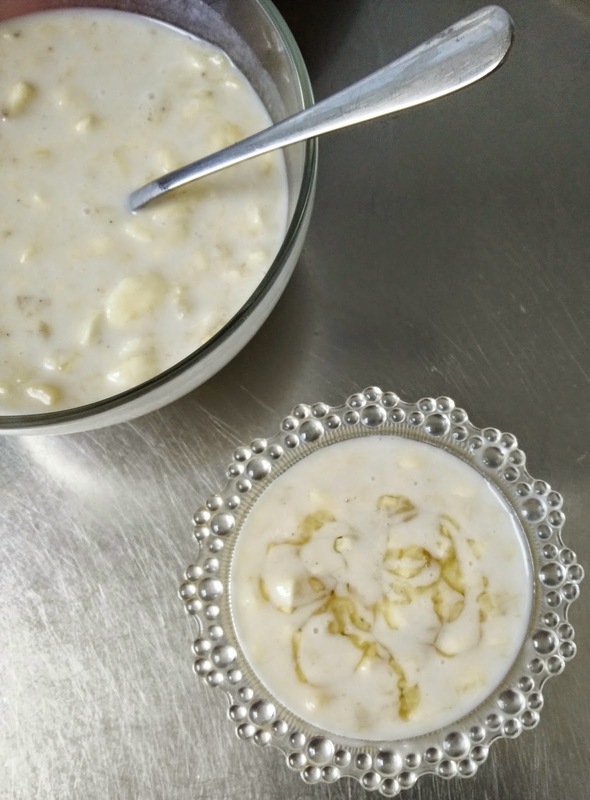 Today I am going to share one super easy,homely,no fire dessert with you all.Personally I love this dessert and my family too love this heavenly "banana rasayana".This can be served along with chapati, or you can have just like that. 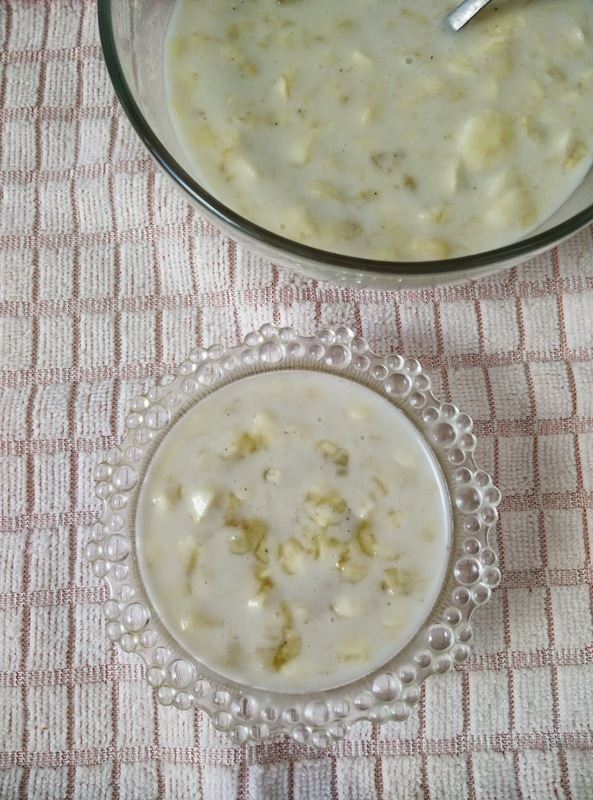 This dish is one of the common desserts typically served in a full course udupi meal.This ideal dessert can be prepared when you have unexpected guests. You can add this dessert to your Sunday lunch/brunch menu too !!!! Yes , this is a vegan dessert(you should skip honey) ...toddler food... enjoyed by all age groups. I feel cooking is not very tough and it doesn't take much time if and only if you pick/try easy recipes.You just cant go wrong here because all you do in this recipe is just mix mix and mix .. Isn't it easy ?? 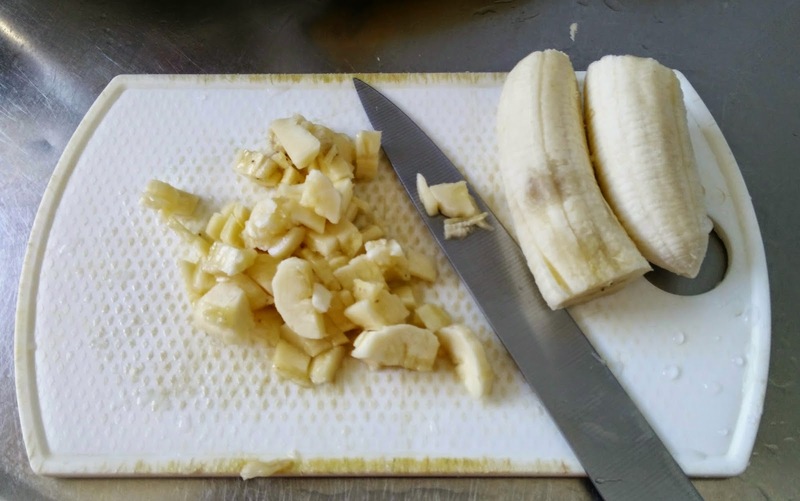 Remove the outer skin of banana and chop them into small pieces. In a big mixing bowl Mix chopped bananas, grated jaggery,cardamom powder, pinch of salt and coconut milk really well. Garnish with honey on top and serve chilled or just like that !! You can use either ready coconut milk available in the market or you can prepare at home using fresh coconut. First add the first extract of coconut milk and mix well .Add second extract little by little and mix to get a desired consistency. 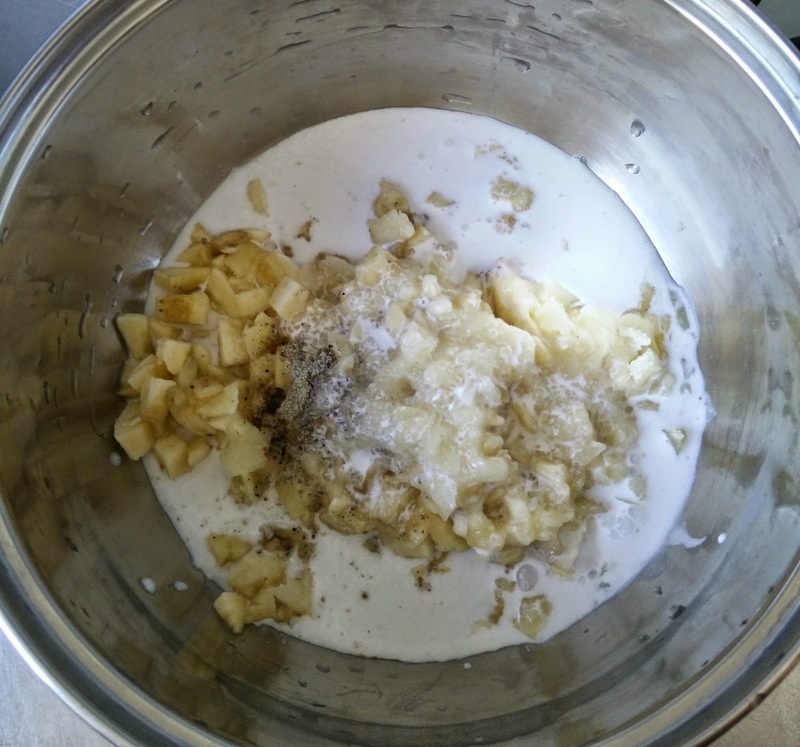 How to prepare coconut milk at home? Instead of coconut milk you can use thick cow milk and Instead of jaggery you can use sugar. This becomes "balehannu sheekarane" which is a famous dish in Karnataka. Don't use salt if you are using cow milk. You can even make this dish little dry by adding freshly grated coconut instead of coconut milk. This is another version which is quicker than the above recipe. You can mix the honey along with all the ingredients. I just garnished on top before clicking the photo.